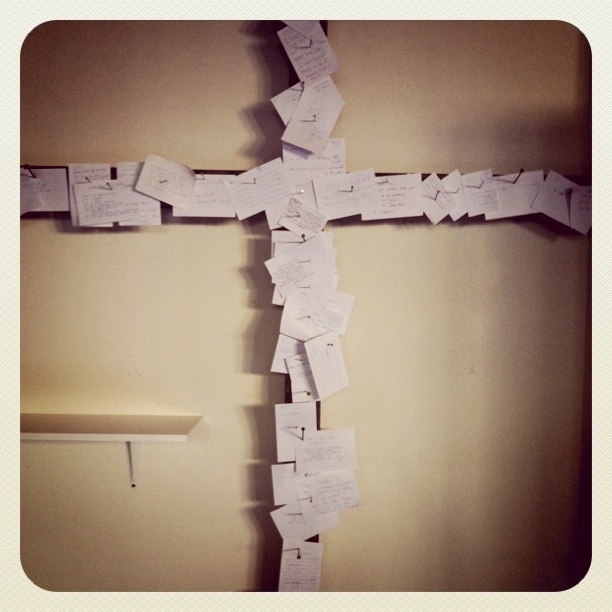 Yesterday at our Ash Wednesday services, the people were invited to write on a post-it note and stick it to the cross on their way up to communion and ashes. They could put whatever they wanted, but in general, the idea was to write something that might be hindering the way to the cross: a sin, a habit, an attitude. At the end of the evening, we hadn’t really discussed how to handle the slips, but I felt they were important and so I gathered them up as gently as I could and carried them home. I wanted to pray over them, yes, but I confess, my analytical self was curious. What had people written to Christ. What had they asked about. Over the next few weeks, I’ll be drawing from these confessions for many mirrored my own: there is nothing new under the sun. We are all hoping to be set free from the yokes that bind us, the repetitive scripts in our heads, the damaging attitudes that habitually frame our responses. Naturally, there were notes that rendered their sins of the flesh as getting in the way of their journey to the cross and there were individuals named specifically or by relationship: mother, father, mother-in-law, son, daughter, and so forth. But most of the words that were placed on that cross, that symbolic torture chamber, came from within. Anger was repeated over and over and over again. Unforgiveness came next. I can almost hear the cry of the heart saying, how do I find you Jesus when my mind and heart are filled with such rage, when I can only playback the injustice or the betrayal or the damage done to me. Last week, I was in a workshop in which the facilitator reminded us that there are four primary emotions: Fear, Joy, Sadness and, of course, Anger. And really, I’m guessing that unforgiveness is rooted in anger. 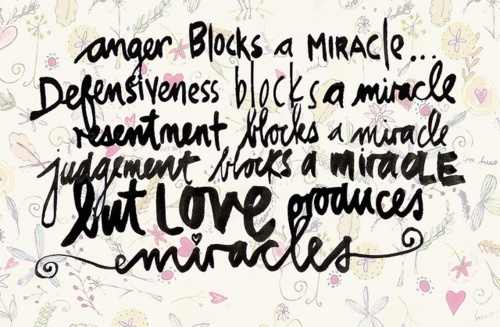 The good news is that no anger is greater than God’s love. That sounds cliche and yet it’s true. People seem to think that their emotions are stronger than anything anyone else can handle. I remember being in a counseling session and telling the therapist that felt as though I would explode, literally. Of course, I didn’t and couldn’t. How often has a person said, “If I start crying, I’ll never stop.” Again, not true. And so it is with anger. It will not win. Love wins. Lent begins in earnest today. Was I angry today? I was. Did I harbor a grudge or two or pull up an old exasperation about some behavior or another by this or that family member? I did. I see that. Now what? Confess, accept, move on. Wash me Jesus in the water of grace.